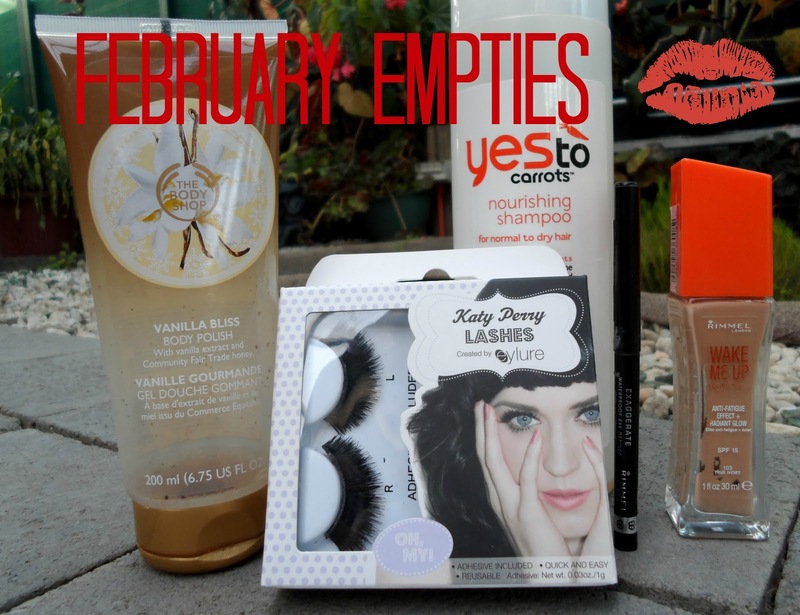 I haven't written an empties post since way back in November, so this has been a long time coming. Surprisingly, I haven't finished many things in the last three months. Onwards and upwards, let's talk about what I hated and what I would definitely repurchase! The Yes To Carrots Shampoo was another story. Lately, I have been really allergic to EVERYTHING and my skin has been really suffering. So I decided to try this on a whim that it was a more natural alternative. For those 'fact nerds' out there like me, this shampoo is 99.4% natural. I liked it at first, but soon realised it makes my hair so freaking frizzy and weird. Also, I really need to use a colour treatment shampoo because of my blonde highlights, so I won't be repurchasing this one. The Rimmel Wake Me Up Foundation is amazing and I will definitely be getting another one soon. If you've been reading my blog since day dot, you probably know my thoughts and feeling about this foundation, but if you missed it read here. Before I repurchase, I'm just trying to use up some of my older ones. No love lost with this one! And then comes my old faithful Rimmel Exaggerate Waterproof Eye Definer. I feel like a traitor as I write this. A few weeks ago, I went to restock this because I knew it was getting low. To my shock and horror it was out of stock at my local drug-store, but I really wanted to grab another while I was there. I had heard very good reviews about the NEW Scandaleyes eyeliners from Rimmel, so I found one in black and purchased it. Shock and horror turned to joy and delight when I tried my new eyeliner, so sadly I must end the relationship with the Exaggerate Eye Definer. It's me, not you. It's been a great four years, but it's time to move on. I'm sorry. Watch more about it here. Eylure Katy Perry Lashes - Oh, My! Lucky last are these Eylure Katy Perry lashes is the 'Oh, My!' variety. These are ridiculously thick and as my friend likes to describe them, look like "furry black insects'. I bought them on sale and thought I would give them a whirl. They are incredibly hard to stick on, due to the thickness at the seam, so I had to use a lot of glue to keep them in place. Once on they looked pretty freaking cool! Here's a picture. The only problem that I have with these lashes are that because I used so much glue to adhere them with, they really REALLY hurt to take off. I felt like I was removing skin! I really love the other lashes in this range, so I might give this style a miss next time and stick to the others. Have you tried any of these? What products have you emptied recently? Comment below. I was tempted to try the Yes to Carrots range and then I had a little sniff of the product in the store and decided against it, I really hate the scent. However, the Katy Perry lashes look amazing! I always contemplate buying them but never do...I think I might just have to give them a whirl! Oh really? The scent didn't bother me at all! But that's about the only thing that didn't bother me after using it! Definitely try the lashes. There are new ones set to be released soon! Agree, the Katy Perry lashes look fantastic! 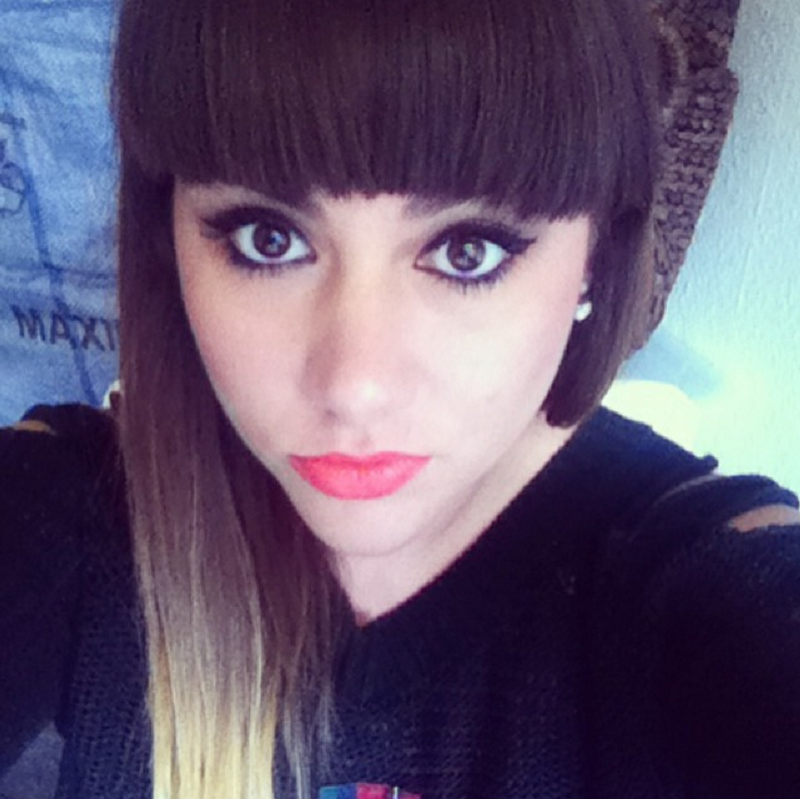 Eylure does great false lashes!